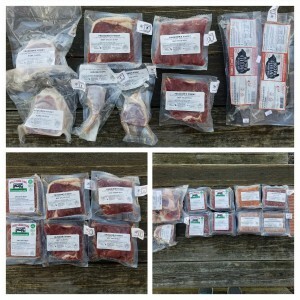 We offer both a Summer-Fall and Winter-Spring Meat Farm Share. 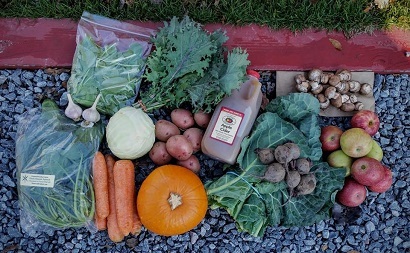 The Meat Share is distributed monthly and comprised of local Pasture-raised Pork (Miller Family Farm), local Grass-fed Beef (Miller Family Farm, Wolf Creek Farm), local Grass-fed Lamb (Miller Family Farm), Wild-caught Alaskan Seafood (Wild for Salmon), and other surprises. Our Pastured Chicken is not part of our Meat Share–we have a separate Chicken Share. Regular Meat Share: This Share, like our Produce Shares, is designed to feed a household of 3-5, or less if you are an extreme carnivore! Priced at a great value for your money, the Share is free-choice each month based on a “points system”. 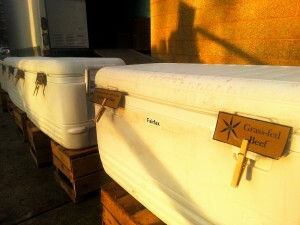 Lamb, Beef, and Pork are all available at each pickup. Each item is labelled with a number 1 through 7, and you have a total of 17 points to take home every month. Based on the cuts of meat you select, you will take home an average of 7 – 14 lbs of meat each month. Our meat is carefully cut either in our own on-farm butcher shop, or by our partners at Fauquier’s Finest Custom Butcher Shop and Wild for Salmon. 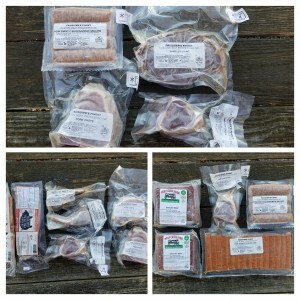 Small Meat Share: This Share is designed for the occasional meat eater. Priced at a great value for your money, the Share is free-choice each month based on a “points system”. 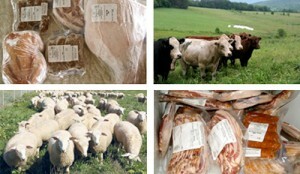 Lamb, Beef, and Pork are all available at each pickup. Each item is labelled with a number 1 through 7, and you have a total of 8 points to take home every month. 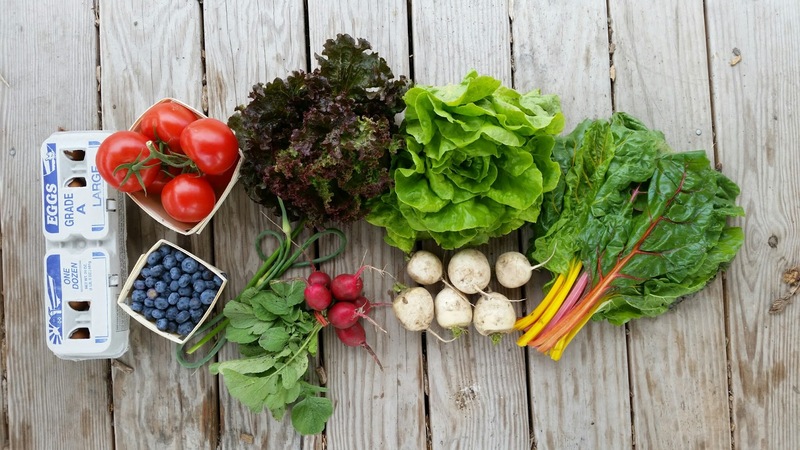 Based on the cuts of meat you select, you will take home from 3.5-6 lbs of meat each month. Our meat is carefully cut either in our own on-farm butcher shop or our partners at Fauquiers Finest Custom Butcher Shop and Wild for Salmon. 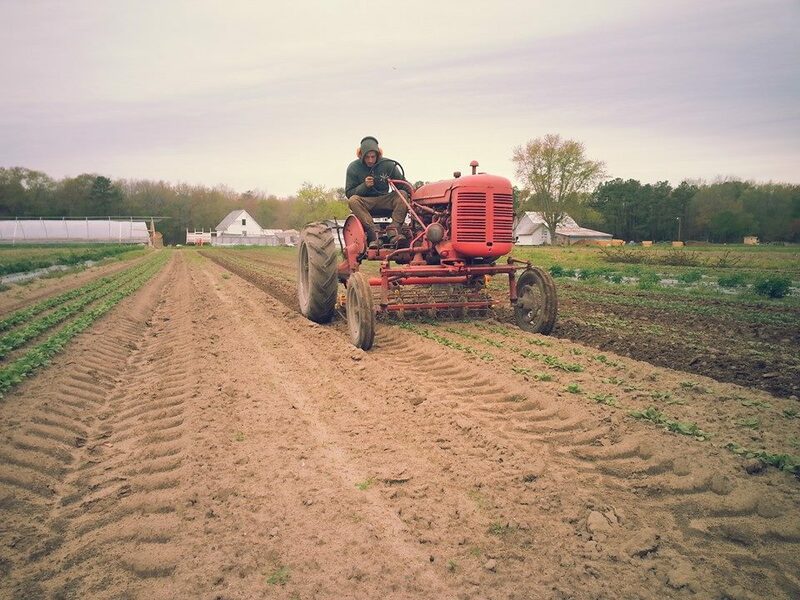 Please do not hesitate to call (443-220-2338) or email (info@groundworksfarm.com) with any questions.